If it’s been a while since you treated yourself to a tantalizing dessert in a glass, first of all what are you waiting for? And secondly I invite you to try this decadent Margarita Milkshake. It’s a simple, sinfully rich boozy milkshake recipe you’ll find yourself making time and again and one that will make your house the cool hangout spot this summer! Want the classic? Try my BEST Margarita Recipe! 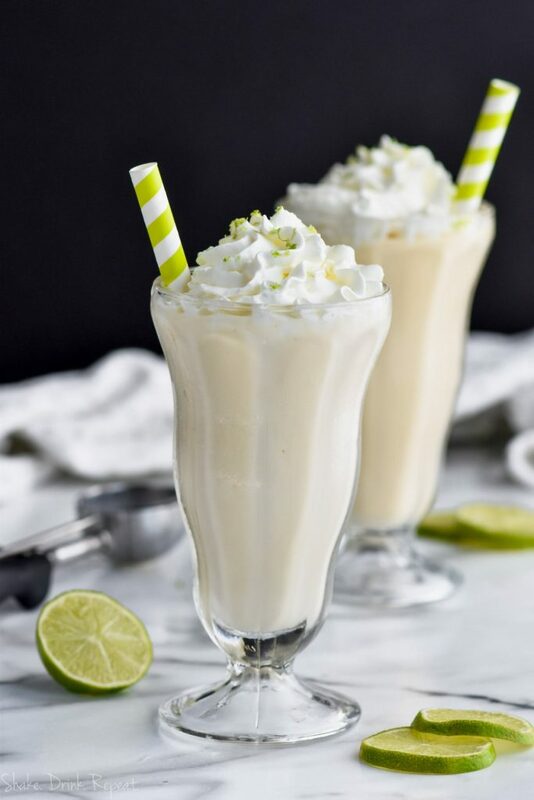 If thick, creamy milkshakes are what you crave, but you’re also all about the cocktails right now, I promise this one will not disappoint! 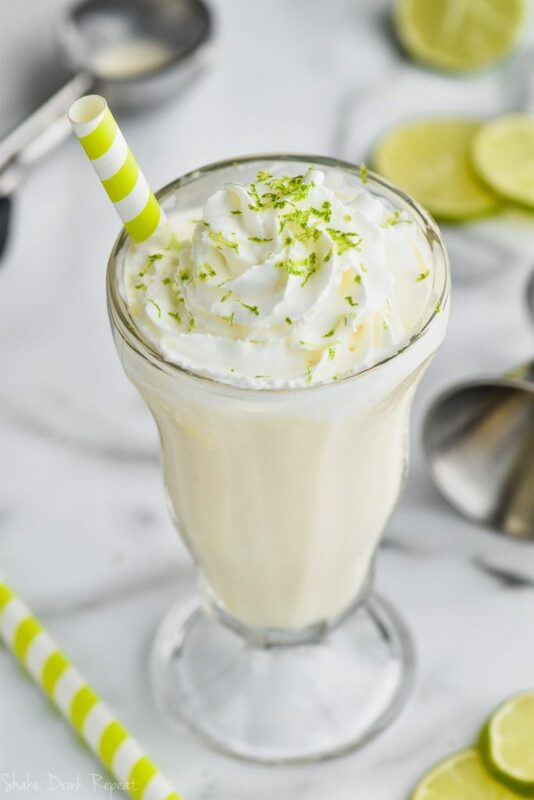 The fresh lime and orange flavor of my Original Margarita Recipe pairs beautifully with cold, creamy ice cream in this simple alcoholic milkshake. It tastes like a zippy Creamsicle! This Boozy Strawberry Milkshake and White Russian Milkshake are some of my other grown-up favorites. WHAT DO I NEED TO MAKE A MARGARITA MILKSHAKE? 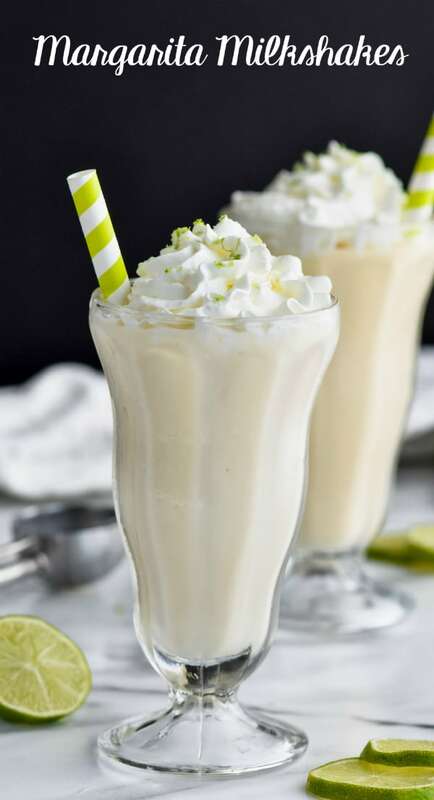 Similar to this Mojito Milkshake, you’ll start this recipe off with a scoop or two of your favorite vanilla ice cream. Keep in mind that more high quality ice cream will result in a richer, thicker milkshake. Next, triple sec or orange liqueur. I’ve tried both and they’re both absolutely delicious in this recipe. No margarita recipe would be complete without some strong silver tequila. You’ll need a couple ounces per milkshake. Finally, some fresh lime juice and lime zest for garnish. Oh, and lots of whipped cream, because MILKSHAKE! 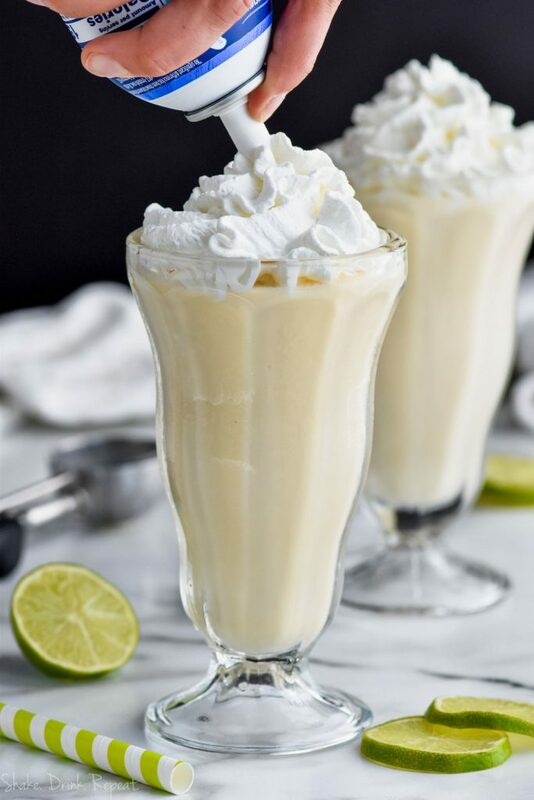 For one milkshake, combine a cup or so of vanilla ice cream, two ounces of silver tequila, an ounce of orange liqueur or triple sec and half a tablespoon of lime juice in a blender. Blend until smooth and desired consistency. If you want it thinner, add a little bit of milk. 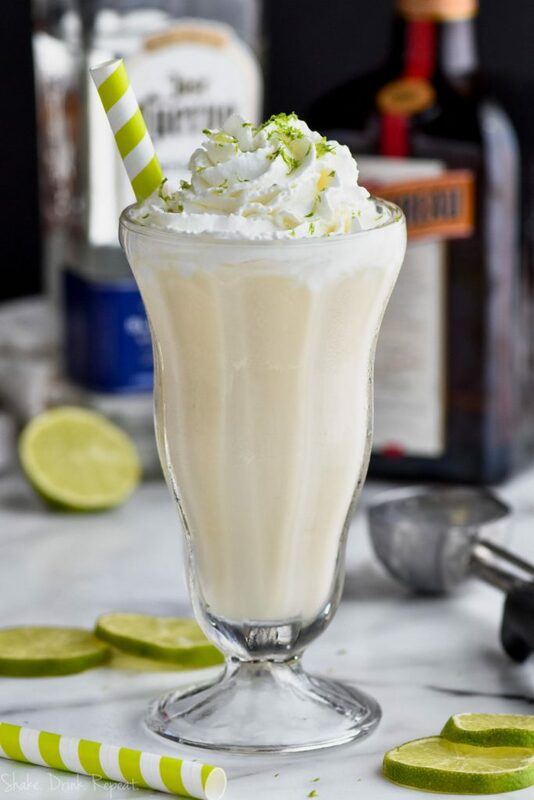 Pour into a tall milkshake glass and top with lime zest and plenty of whipped cream. Cheers to long summer days filled with glorious adults-only treats! Try this Coconut Margarita or these Ice Cream Maker Margaritas too! 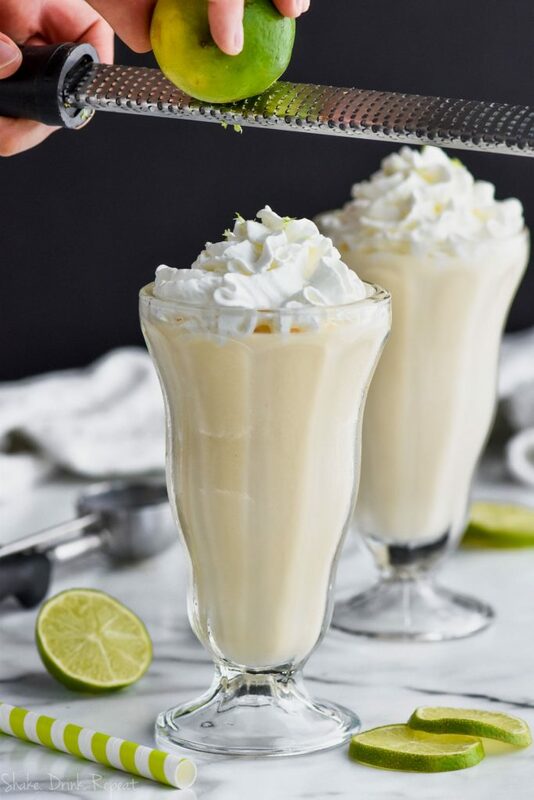 This Margarita Milkshake is the boozy dessert you've been dreaming about. It is creamy, cool, and delicious and tastes just like a lime margarita. Blend all the ingredients together. Top with whipped cream and lime zest.